Click on the month to view the topic abstract, speaker bio and download a copy of the presentation. Please note, not all presentations are available for download. A Big Thank You to State Auto for sponsoring our chapter meeting and dinner! Join us to hear from Shannon Cross of CAS to discuss the challenges of being a BA in a WAgile environment. Shannon has operated, thrived, and made mistakes in the Waterfall/Agile “WAgile” Swirl. From it she has gained insights in working at the team, executive, and customer levels. "Waterfall and Agile Swirl" will cover some tools to help manage these incompatible but often combined frameworks, how to speak with teams and business executives in this situation and managing scope and change. Shannon Z. Cross currently works at CAS (Chemical Abstracts Society), a leader in cheminformatics solutions, providing scientific information to industry and academia in pursuit of research and discovery. Shannon’s role as CAS Services Client Engagement Manager combines her experience and skills of Product Owner, Program Manager, BA and entrepreneur into one package. Which means, she believes certain rules are thrown out the window and what remains is a foundation of using the best tool for the job. Not to be confused with ever changing process or undefined business strategies. 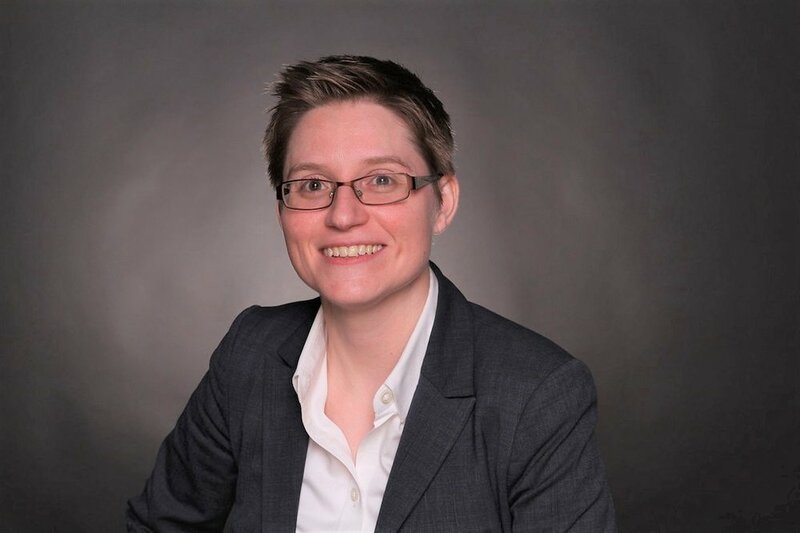 Shannon holds a MA in management, BA in anthropology and is a certified Project Manager, Lean Six Sigma Green Belt, Scrum Product Owner, and Scrum Master. Her professional experience crosses public, private, and government sectors. We will be speaking with a panel of Columbus IT recruiters about how we can better market ourselves in 2019. Please come with questions for our recruiters and see how they can help you and your career in 2019! We will be speaking with a panel of Columbus IT recruiters about how we can better market ourselves in 2018. Please come with questions for our recruiters and see how they can help you and your career in 2018! In today’s age of globalization, organizations and their teams are stretched across geographical locations. We all are a part of global market which works on collaborations across countries and borders. All thanks to technology as it has enabled us to collaborate, supervise and work with people/teams at different geographical locations. Geographical diversity is not just a requirement but a necessity and while working with remote staff has several advantages, managing it can be equally challenging. Download Sneha's presentation so you can benefit from her information and tips for Working with Remote Teams. Is it possible to create a team where requirements and design can collaborate effectively and provide value to the user? The answer is YES! This presentation will discuss the importance of collaboration between Business Analysts and Developers in gathering system requirements. There’s always the fine line between requirements and design that can be quite challenging when you don’t speak the same language. We will explore different methods to bridge the gap between meeting requirements and creating or implementing a design effectively. Download Marc's presentation for future reference. Marc Rivera is an IT Architect with Sogeti and received his Masters of Science in Computer Science degree from Franklin University. He has more than 10 years of IT experience from insurance to banking industries. He loves to watch and play soccer especially with his son. Improv is all about listening and responding intelligently to your colleagues. We're going to take that to the next level by learning how to improve our listening skills and build off of the conversation you're having. These skills will help you build substantial relationships and provide meaningful input to the conversations you have, whether it be conversations with friends, colleagues or clients. By playing various low-stakes and fun games, we will learn how to roll with the conversation punches, keep your mind free and open to whatever comes next and see things from the other person's perspective to provide valuable input. Zack Kelly is an entertainer at his core. Professionally, he's a Business Analyst with the consulting and training firm, Improving. His love of improv comedy lends itself well to his professional skills as a listener, connector and facilitator. His background is in mechanical engineering gives Zack an eye for detail and enhances his problem solving skills. Zack loves to fuse these skills to help others understand the big picture and solve problems. When he's not working, Zack's probably doing improv or something stereotypically nerdy. We are taking a summer break and hosting our 2018 Summer Social! Join us for appetizers and great conversation. We have a private room booked at The Walrus in downtown Columbus. The Walrusis located at 143 East Main Street, Columbus. Public parking is available across the street and along Main Street. We will kick off the fun at 6:00 pm. We hope to see you there! We do not have an August 2018 chapter meeting due to the 2018 BA-CONference. For more information about the conference and workshop day, please click here. For conference speaker information and copies of the presentations, please click here. If you are interested in speaking/presenting at a chapter meeting or the 2019 BA-CONference, please email us at Admin@columbusoh.iiba.org. If you are interested in volunteering at a chapter meeting or the 2019 BA-CONference, please email us at Education@columbusoh.iiba.org. We hope to see you on the 19th when we will share "Highlights from the 2018 BA CONference" from attendees and speakers who will give a 10-15 minute Lightning Talk of their presentation or sessions they attended. There will be something for everyone! If you attended the conference, you can get highlights from some of the sessions you missed or if you missed the event entirely, you still have a chance to gain some of the insights shared by our speakers, and get dinner too! As Agilists we strive to achieve Business Agility, that is, by reducing volatility, uncertainty, complexity and ambiguity. This task can be overwhelming in a world that demands continuous delivery of quality products. Using automated testing techniques is one engineering practice we can use to help us continually drive that quality, however, introducing new tools and techniques can further complicate our delivery. So how can we achieve Business Agility, automate our delivery, and set ourselves up for success? Believe it or not, it all starts with a well-refined user story. This talk will show you simple techniques we can use as business analysts to write awesome, structured user stories that will become the basis for our automated tests. The techniques include developing a common language and taxonomy that will reduce the VUCA, but also streamline our process, set our team up for a test-first mindset, and give us many other bonuses. SMASH THE BOX by thinking different! Acting different! And creating a culture of innovation! Groups that “Smash the Box” generate “game changing” ideas that gives them a creative advantage over their competition. “Game Changing” ideas, creative plans, and cultures of innovation lie outside the box... Are you ready to take thinking outside the box to the next level? Thank you for a great 2019! See you on Wednesday, January 8, 2020!